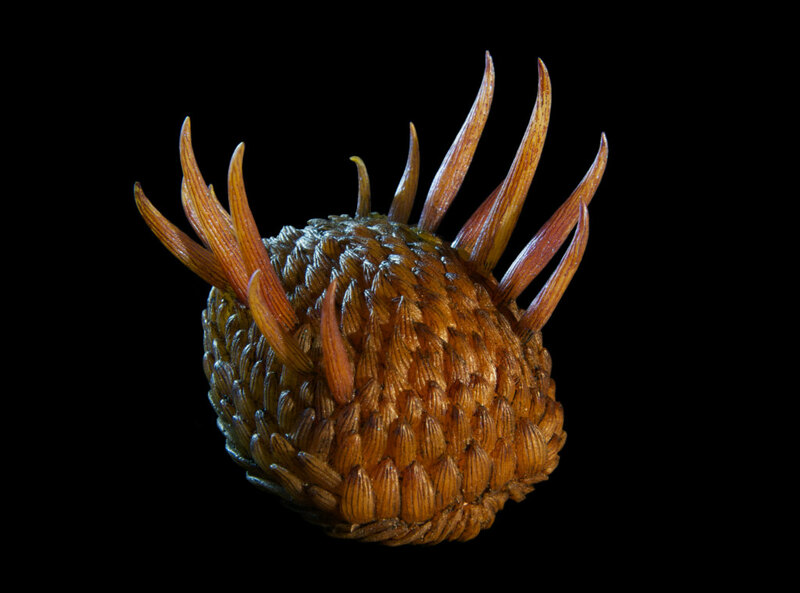 Wiwaxia corrugata, (1:1) 4,5 cm. The model was made in oversize and shrunk to achieve a high degree of details. Supervised by Günter Bechly and Simon Conway Morris. This animal could perhaps be the result of an offspring between a porcupine, a pangolin and a common slug. However, Wiwaxia is a genus of soft-bodied animals that were covered in carbonaceous scales and spines that protected it from predators. Wiwaxia fossils – mainly isolated scales, but sometimes complete, articulated fossils – are known from early Cambrian and middle Cambrian fossil deposits across the globe. The living animal would have measured up to 5 cm when fully grown, although a range of juvenile specimens are known, the smallest being 2 millimetres long. Wiwaxia's affinity has been a matter of debate: Researchers were long split between two possibilities. 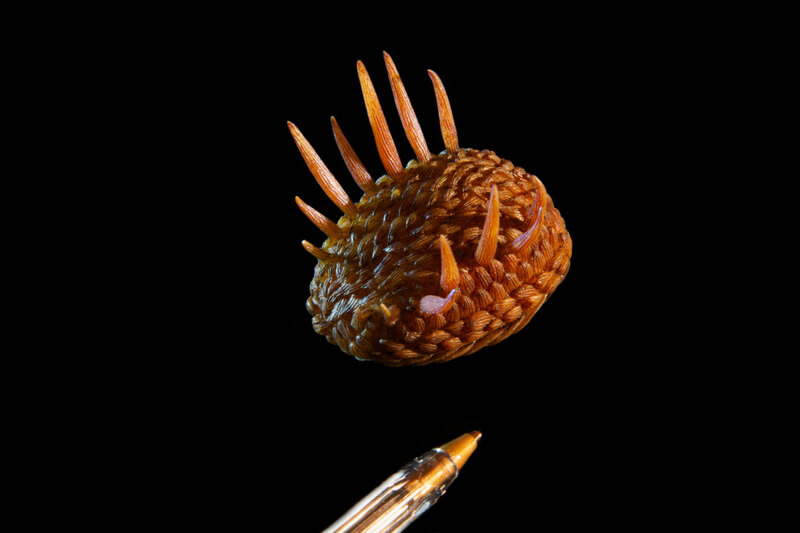 On the one hand, its rows of scales looked superficially similar to certain scale worms (annelids); conversely, its mouthparts and general morphology suggested a relationship to the shell-less molluscs. 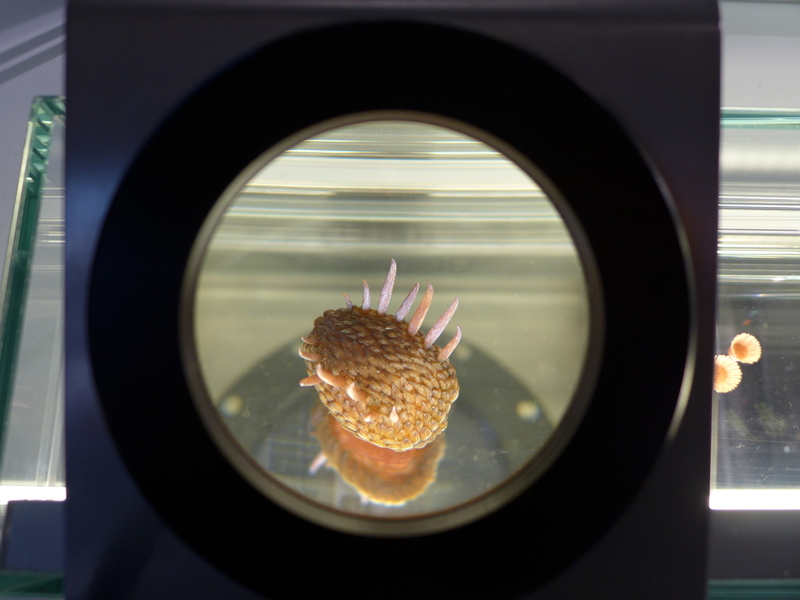 More recently, evidence for a molluscan affinity has been accumulating, based on new details of Wiwaxia's mouthparts, scales, and growth history. 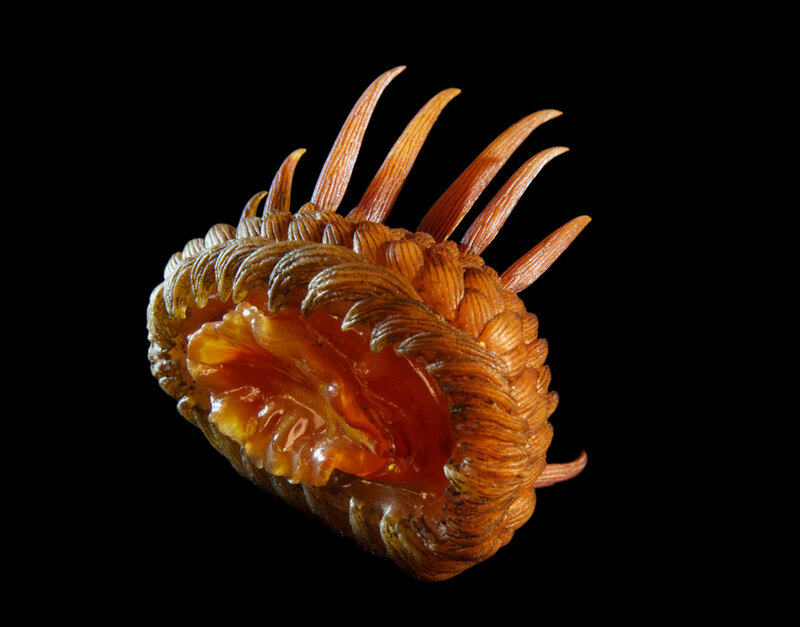 Wiwaxia's flat underside was soft and unarmored; most of the surface was occupied by a slug-like foot.